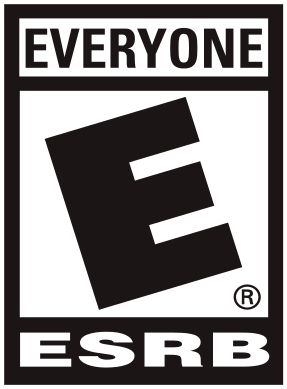 One of the age ratings of the Entertainment Software Ratings Board. This rating is aimed at people who are at least 6 years old. This is why it is termed "Everyone". E used to be K-A (Kids to Adults) until early 1998. It was most likely changed due to the belief that it would be interpreted as being similar to the MPAA's G rating. Regardless, some of the games in this list may have been rated K-A, but still are worth mentioning here. Note that the Everyone 10+ Rating has only existed from 2005 onward, so some games from before that year that received a straight E back then may have received an E10 under the contemporary system. Also note that just about all Sports Games receive this rating, to the point that listing any would take up way too much space to be necessary. Ecco the Dolphin seriesnote Defender of the Future got an "Animated Blood" note; the 3DS eShop release got a "Mild Animated Violence" note. LittleBigPlanet: All games except for the PlayStation Portable one, for comic mischief and mild cartoon violence.